What is Tang Soo Tao? Tang Soo Tao is a traditional martial art. This means it involves the development of the mind, body and spirit through rigorous training. Tang refers to a Chinese dynasty, Soo means open hand, and Tao means way. So Tang Soo Tao literally means the way of the open hand. Is Tang Soo Tao the same as Karate? Tang Soo is a Korean martial art, Karate describes Japanese martial arts. There are similarities between the two, and each has had some influence on the other, but they are not the same. Who developed Tang Soo Tao in Australia? 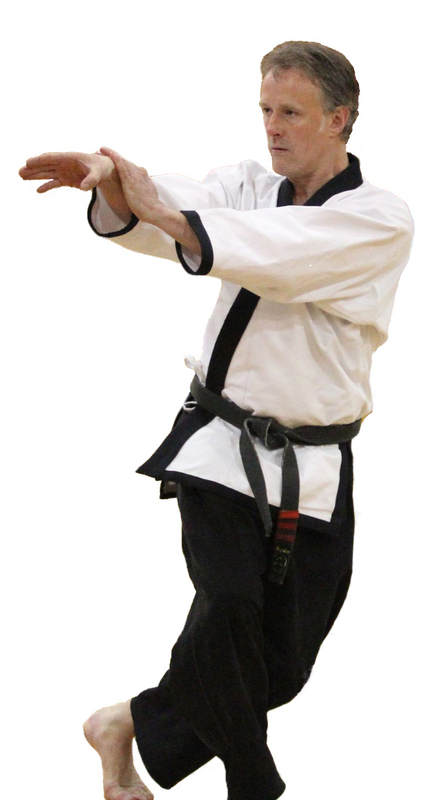 Tang Soo Tao was developed by the late Master Robert Caputo. You can read more about him in the history section on the sites home page. Is Tang Soo Tao a sport? Tang Soo Tao is a martial art, not a sport. It is not about winning, but rather seeks to have a broader development of the practitioner as a person. Can I try out Tang Soo Tao and see if it is for me? Of course! Every school has introductory classes. There are always beginners in the class and everyone is looked after. Come on in and see what we do. Do I need a uniform straight away? No. Just start with comfortable loose-fitting clothes. You have a couple of weeks to see if Tang Soo Tao is for you before you are expected to purchase a uniform. How much does a uniform cost, and where do I get one from? A uniform comes with a white belt and costs between $40-$60. You can purchase one from any martial arts store. The closest to our school is Tans 326-628 Lygon Street (9380 8233). The Tang Soo emblem is available from our school for $10. What kind of things can I expect from a class? You will learn about the courtesy and etiquette used in traditional martial arts practice. The content of a class will depend upon the belt level for that class. White belt classes will work more on basics, blocks, punches, kicks and white belt forms and combinations. Intermediate classes work to develop more skills and their syllabus forms and combinations become more advanced. Senior classes will generally work out at a more intense pace with fewer breaks than the other classes. Tang Soo Tao Melbourne club also runs a fighting skills development class on Saturdays. These classes concentrate on drills, movement and combinations, as well as sparring. Will I get fit doing Tang Soo Tao? Yes. But don’t worry you will have time to develop your fitness. White belt classes are within the physical limits of most people. As you continue to train, your fitness will improve. Unlike a gym, Tang Soo Tao will also develop your speed, coordination, balance and improve internal health by circulating Qi. Will I do contact fighting straight away? No. Junior belts are required to punch and kick 15cm from their opponent. This allows the development of control and distance before making contact with someone. Is there a risk of injury from training in Tang Soo Tao? Tang Soo Tao is a contact activity and so the possibility of an injury does exist. However due to the nature of our training and instruction, there are very few injuries. Protective equipment is worn for all fighting, and safety is paramount. Are there any females in the club? Yes, Tang Soo Tao has always had a high membership of females, with almost half the club usually being female. Women hold senior positions in both the National Federation and the Melbourne school. Do you need to be strong to do Tang Soo Tao? No. Junior training emphasises learning correct technique and your strength will develop over time. We are contactable via the email address and contact phone numbers on the site, but don’t be afraid to ask the higher belts questions during and after the class. Tang Soo Tao is lifelong journey and does not stop at black belt, however if you are dedicated and train hard, you can usually earn your black belt in about five years. Kyo Sa Nim Russell conducts a 60 minute Ashtangar Yoga class at 6:30am on Tuesday and Thursday. Saturday has a more relaxed start time of 9:00am. Yoga is also incorporated into many of our warm up routines to promote flexibility and stretching. Yoga classes are also open to non-members for a small fee. Elements of mat based Pilates movements are also incorporated into our warm up routines. These are used to develop core and pelvic floor strength. Two elements essential to improving performance of martial arts. When can I practice in the hall? On Tuesday and Thursday morning after the Yoga session club members can engage in a self practice session. This gives a formal opportunity for personal training in whatever parts of the art they wish. An instructor is usually present to offer guidance or help if required. All classes officially last one hour and ten minutes, however instructors are always willing to stay back and answer questions or work on an area you may need help with. It is good etiquette to arrive and warm up about fifteen minutes before a class, so please be prompt and be on the floor at the start time. How many Tang Soo Tao schools are there in Australia? Five: Maroochydore (Headquarters), Darwin (the first School to be established), Melbourne (Brunswick), Daylesford and Geelong. Can I train at other schools? Yes. Let your instructor know you wish to train at another school and your instructor will contact the head instructor of the other school. Why is Korean terminology used? Korean commands are used in training mainly for historical reasons and to ensure the link with the origins of the art are maintained. The names of most forms and combinations are in the original Korean. You will be gradually introduced to the Korean and some Chinese terminology as you learn the techniques.